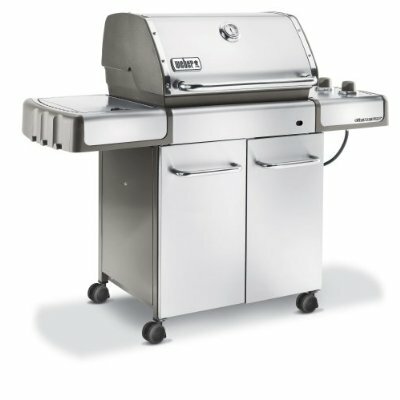 It’s almost grilling season and if you are looking for the best outdoor grill, I highly recommend the Weber Genesis S-320. I purchased this grill two years ago and have had absolutely no issues with it. The grill fires up on the first try and it can get extremely high temps really fast… I’ve had it up to 600+ degrees!!! I would consider the grill priced in the “middle” since you can get ones that costs a lot more and a lot less than $949 — it’s well worth the price! I chose the “full stainless steel” version, however, it is not completely stainless steel. There are some elements that are a powder coated, but, for the most part, it is. I would recommend you also get a cover to protect the grill when not in use to keep it looking new.